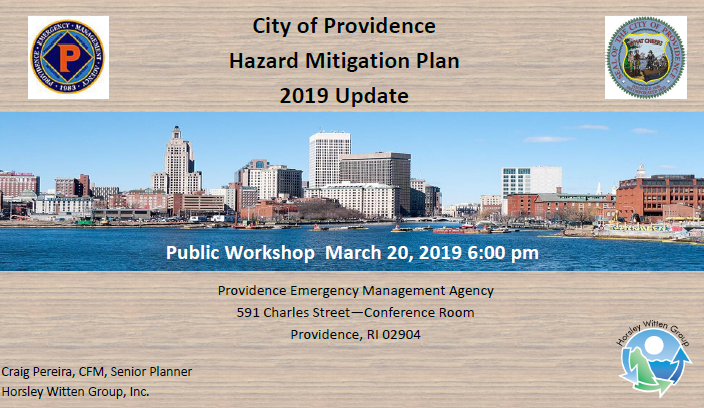 The City of Providence is currently finalizing the 2019 update to the Multi-Hazard Mitigation Plan that will help the City plan for future hazards that may impact the Providence community. The Local Hazard Mitigation Committee is seeking public comments on the draft plan in order to incorporate the insights and suggestions of the Providence community. Public comments will be accepted until March 29, 2019 for inclusion in the Multi-Hazard Mitigation Plan update.